Flow rate calculated with upper chamber full to top. Flow rate decreases as water level declines. The Berkey® stainless steel chambers are assembled in the USA from US and importedparts. 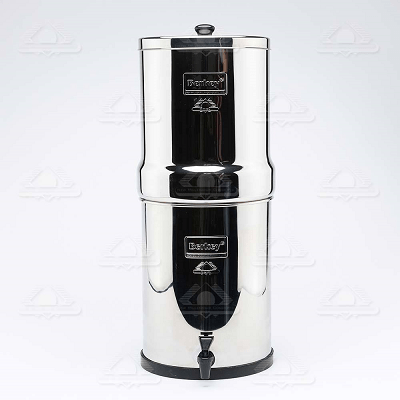 The Black Berkey® Purification Elements are made and assembled in the USA.